So I’d never played Gone Home on a different platform prior to this review. I know, I know, it was an egregious oversight, but at the time of the game’s release I hadn’t yet discovered the wonder of walking simulators. But now, having been shown the light of the genre (specifically by What Remains of Edith Finch, which shares a developer—Annapurna Interactive—with Gone Home), I went into this game with high expectations, and was not disappointed. The narrative has not faded in its years of existence—still stronger than many games released today—and its adaptation for the Nintendo Switch has not compromised its quality or playability. 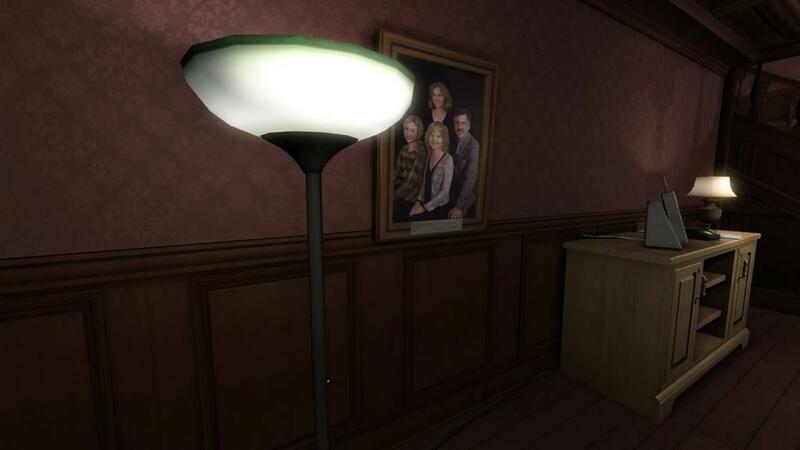 Gone Home centers on the story of the Greenbriar family. The oldest daughter, Katie, has just arrived home from a year-long overseas trip to a house she has never before inhabited, one left to her family by a recently-passed uncle of her father’s. The house is empty, and on the door is a note from her sister Sam announcing her own disappearance. The whereabouts of her parents are not known. Katie must navigate this strange new house, digging through pictures and documents, to discover clues as to what her family has been going through in her absence, and the story behind her sister’s struggles. The game has been out for a while, but in case you’re a person like me who hasn’t played it yet, I want to keep spoilers to a minimum. That being said, I do want to delve into the game’s portrayal of some specific plot elements, so skip the next paragraph if you don’t want to read about those. I imagine at this point that most everyone is familiar with the game, but who knows? I sure wasn’t. Maybe you aren’t either. I don’t know. Anyways. One of the game’s strengths is in what it does not shy away from. I speak mainly of Sam’s struggles with self-identity—namely, exploring her own queerness and reconciling that with her parents’ lack of tolerance, as well as coping with the potential loss of Lonnie to the military. It is refreshing to see it portrayed so positively in the game, and with a happy ending—more refreshing still to realize that this positivity emerged way back in 2013. This game, in this respect, is very much a love story, and overall the story of Samantha Greenbriar—not the story of Katie, or their parents, despite the fact that all are relevant characters. The game also confronts issues such as depression, drugs, and infidelity, and does it tastefully; it’s not overly gritty, nor is it there unnecessarily. Everything here has a relevant place in the plot, and is not there solely for the purpose of creating a “darker” or “edgier” game, which is something I’ve seen happen a lot. It treats them as real issues affecting a real family. The environment itself compounds with this, making everything seem all the more real. Throughout Katie’s exploration, she stumbles across pictures and notes, games and books, and even secret passages that give the game that much more personality. After finding key items, she will hear a journal entry voiced by her sister Sam, in which she details her struggles—and her relationships—with Lonnie and her parents. Every last detail in these items has personality, and is designed as a means to an end. Nothing is insignificant. Everything is worth reading. Everything gives us a better insight into who these people are, how they function as a family, and how they deal with problems that arise—as well as what those problems are. When I first entered the Greenbriar household, I immediately distrusted the truth that I was not alone in that house. From the outset, though there are no enemies or dangers in this game, I felt as if something was lurking behind me—that if I turned to look back over my shoulder, I would see a dark silhouette or something disappear around the corner. In those moments, I truly took on the role of Katie Greenbriar, the woman who returned to find her family mysteriously missing from a spooky old house—and not the role of myself, who was playing just to solve the mystery of the family drama. I, the player, know that nothing malicious lurks within the house that drove my sister away, that accounts for the absence of my parents. Katie Greenbriar does not have this inherent knowledge. 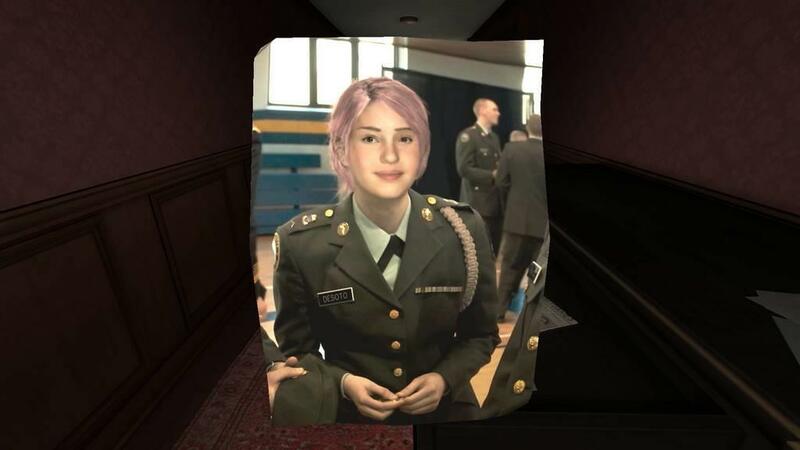 To subvert the player’s own knowledge, to make them feel unease and intrigue as if they did not ever have that knowledge is a difficult thing, but Gone Home managed it right off the bat, and immersed me in an environment that was truly intriguing to explore. But hey, we know all this! We need to talk about the Switch version of the game specifically, which means we can take our depression on the road with us. Maybe this is personal preference, but I believe that the Switch lends itself wonderfully to walking simulators and otherwise low-key games. I’m sure there are multiple factors that lead to this, but I notice it on a level as simple as posture. When I hold a controller for an Xbox or a PlayStation, or sit at a desk for my PC, I have to hold a very active posture; I lean forward when holding a controller, and sit up straight when using the keyboard. This type of movement matches more active, high pressure games like shooters. 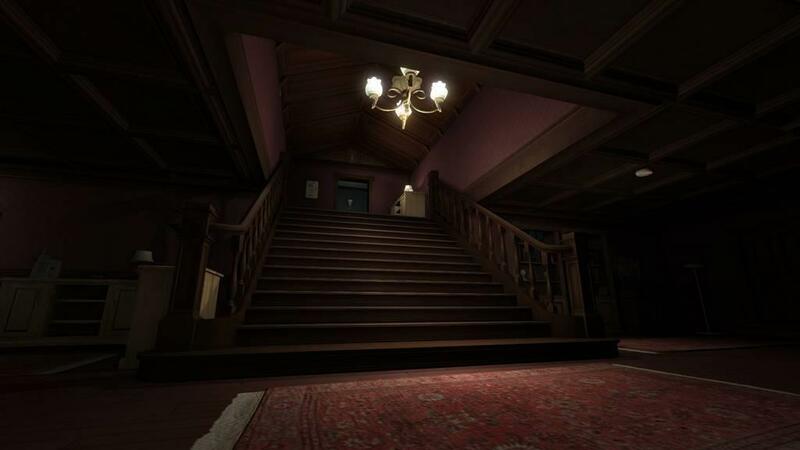 When I played What Remains of Edith Finch, for example, it felt very odd to hold my controller at the ready, both hands in front of me, while walking through a fairly uneventful house. So it goes with walking simulators. But the Switch eliminates that contradiction. 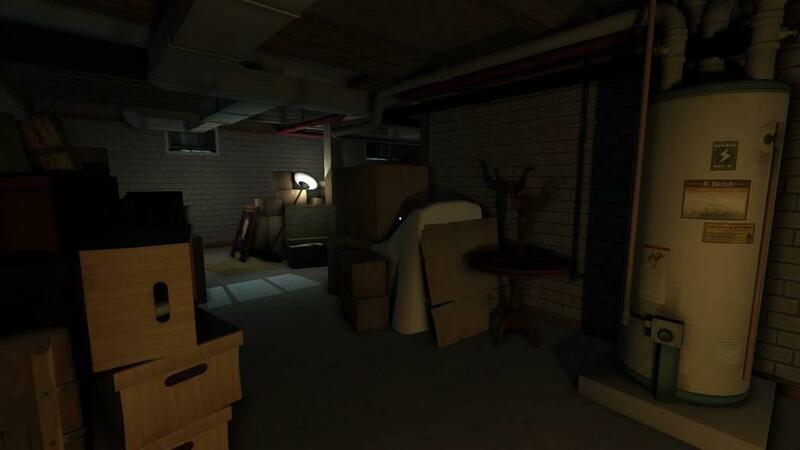 I usually play docked, so that’s how I started with Gone Home, and though it was a minor change it had a large impact on how I experienced the game. I was able to relax backward—a Joy Con in each hand on either side of me as they would be if I were sitting normally—which fits the calm at-your-own-pace nature of a walking sim. I was focused much less on my own body and posture, so I could lose myself in the twisting and turning Greenbriar house all the more quickly. Playing handheld also worked, though to a slightly lesser degree; my hands still had to hold the system at a place where I didn’t have to crane my neck to see. It was honestly very minor, though, and if I’m going to complain about moving my hands two inches above my sides then I need to reevaluate my life. 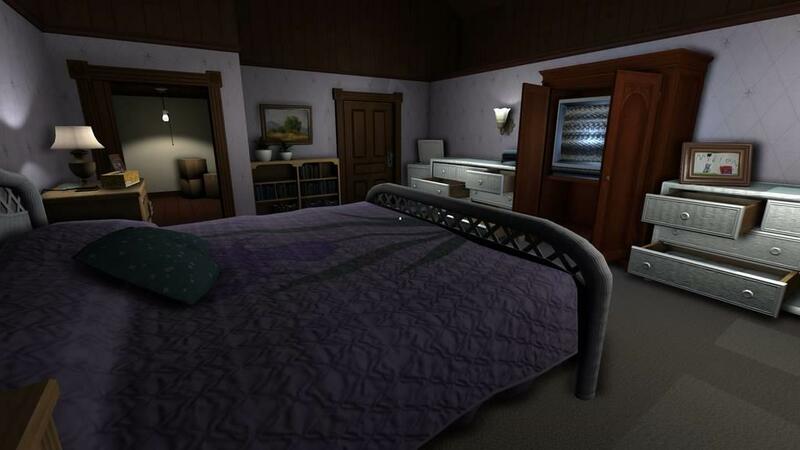 That being said, there is definitely something to playing Gone Home handheld. Picture this: it’s raining outside, the raindrops smacking against the windows. It’s dark—or perhaps it isn’t quite dark yet, but it’s getting there. You’re curled up on your couch or nestled in bed, with only a dim lamp illuminating your room, if you turn on any light at all. This is the perfect sort of environment to play Gone Home, especially if the screen you’re looking at isn’t the giant TV across the room but rather a small screen clutched in your hands. It adds something almost more personal to the experience, being so close to what Katie herself sees that rainy night she returns home—in both distance and similarity. 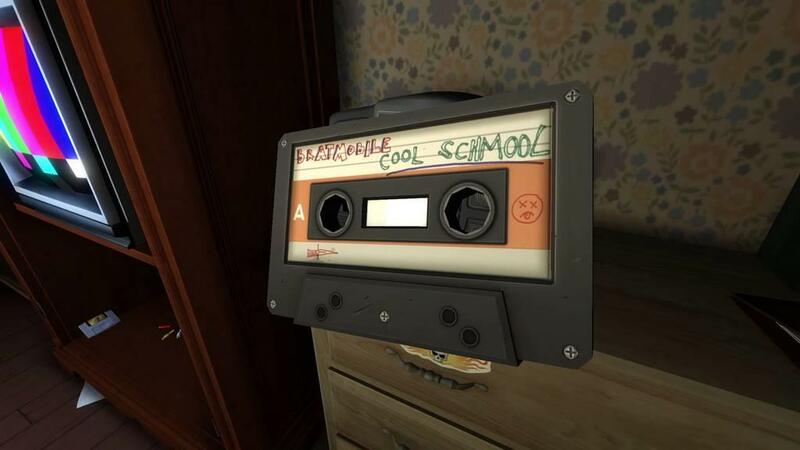 In the years Gone Home has been out, its story hasn’t declined in quality or relevance. Its debut on the Switch has simply made the same emotional experience available to another slice of the gaming demographic, with just the right amount of versatility thrown in. 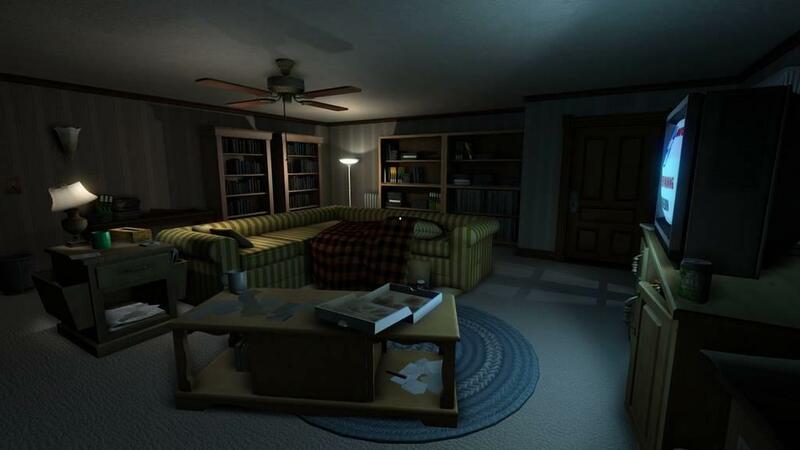 Ultimately, Gone Home is the same game no matter what platform it is played on. It brings the same emotions, anxieties, and intrigue to the table now as it did years ago. There is no denying, however, that the versatility offered by the Switch version fits the calm nature of the walking sim, whether it is played docked or not—plus it’s just plain cool to experience the story in such close quarters.